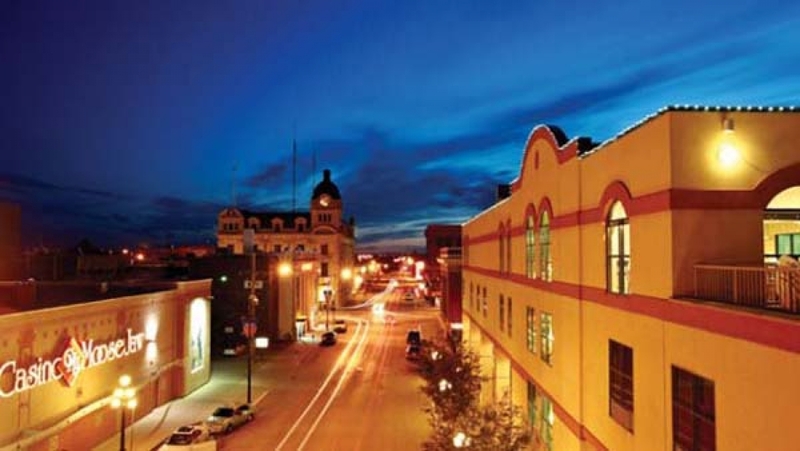 75 More Things We Love About Moose Jaw! 1. Find the artful Mosaic Turtle at Wakamow Valley. 2. Try the Whiskey Sour at Cask 82 while you’re listening to live, local music. 3. Have the thrill of a lifetime with Sky Dive South Sask; book a solo or tandem jump! 4. Take the team or the kids to Prairie Storm Paintball, and have a blast on their indoor or outdoor course. 5. Check out Sir Viver’s Virtual Reality Experience! 6. Want the best steak in the city? Hit up the Crushed Can Sports Bar & Nightclub. It’s legendary! 7. Get up close and personal with the Snowbirds, at the 360 Snowbirds Gallery in the Western Development Museum. 8. Visit a compelling and comprehensive display about the 1954 Moose Jaw Air Disaster, inside the Moose Jaw Museum and Art Gallery. 9. Dive into a real, honest to goodness book at Moose Jaw’s historic Public Library. 10. Dig into the best nachos in the city at the Cornerstone Bar & Grill, and check out their secret authentic tunnel! 11. Take a quiet moment of reflection when you visit Vanier Collegiate’s Labyrinth of Peace. 12. Drive the 30 minutes to try unique and chef created creole inspired food at Little Red Market in Mortlach. 13. Participate in one of the many Fransaskois events hosted by the Association Communautaire Fransaskoise de Moose Jaw! 14. See for yourself why You Gotta Eat Here filmed an episode about Deja Vu’s wings! 15. Enjoy the beautiful gardens at Providence Place’s Healing Garden. 16. Take in a rodeo, trade show and other events at the Moose Jaw Exhibition Grounds. 17. Be a part of the action when the Moose Jaw Warriors hit the ice! 18. Experience the talents of burgeoning artist, Laura Hamilton. 19. 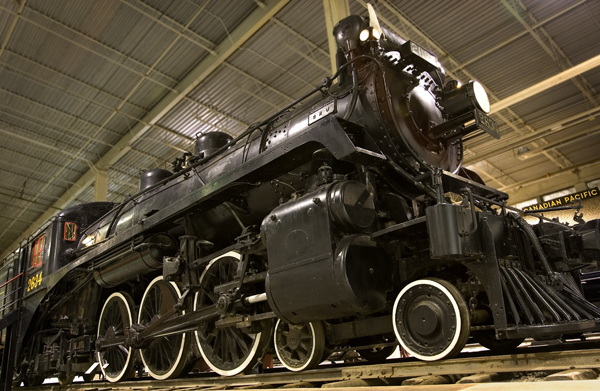 Watch history come alive when you go underground at the Tunnels of Moose Jaw. 20. Get your hands on some handmade pottery with Parson Dietrich Pottery, or by the Moose Jaw Mud Pie Girls. 21. Visit the beautiful Yvette Moore Gallery building, and find the perfect piece of art or handmade item to take home with you! 22. See if Irish eyes are smiling when you spoil yourself with a facial from Sandra or a therapeutic massage with Rebecca at Celtic Heart Health & Beauty Day Spa. 23. Get out your clubs at any of the three beautiful golf courses: Deer Ridge, The Lynbrook or The Hillcrest. 24. Take a walk around the track at Yara Centre, the top notch field house and walking track. 25. Taste some honey mead at Prairie Bee Meadery. 26. Get your sushi on at Aurora Sushi! 27. Say hi to the moose and try the Loaded Baked Potato Soup at Rosie’s on River. 28. Get your fill, and fill your growler, at Rock Creek Tap and Grill. 29. 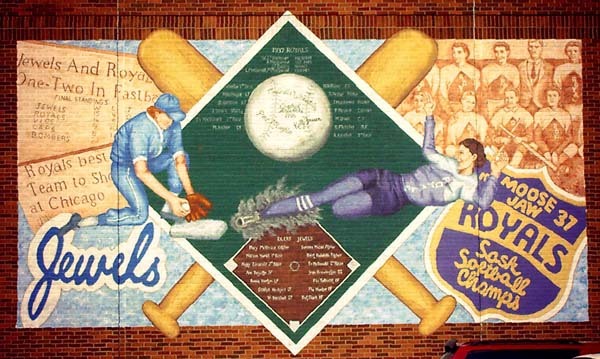 Visit the 48 murals that adorn this beautiful prairie city. 30. Check out Pizza Week in October! Tourism Moose Jaw’s first annual Pizza celebration & competition. 31. Visit the Moose Jaw Art Guild and Moose Jaw Camera Club displays at the Visitor’s Centre. 32. 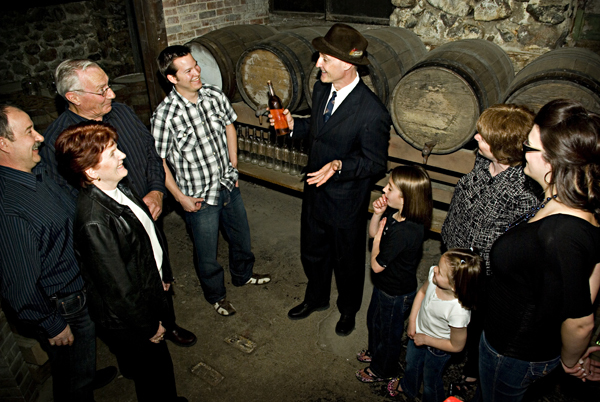 Book a bus or walking tour featuring Gord Johnson, the local expert on all things Moose Jaw. 33. Take in the Moose Jaw Homegrown Farmer’s Market on Langdon Crescents, every Saturday until Thanksgiving. 34. See what the Mae Wilson Theatre has coming up at the Moose Jaw Cultural Centre. 35. Visit the Yara Community Centre gardens, and check out their Pumpkin Harvest Festival. 36. You can't miss Moose Jaw’s oldest shoe store; Gemmel’s Shoes has been in business since 1952! 37. Rent canoes, kayaks and snowshoes from Boh’s Cycle & Sports and Moose Jaw River Adventure Tours! 38. Go Antiquing! The Antique Yard will keep you busy for hours! 39. Did someone say fudge? Or how about gelato? Either way, visit the Chocolate Moose Fudge Factory to satisfy your sweet tooth! 40. Step out in style with amazing ladies' clothing shops in beautiful Downtown Moose Jaw! 41. Spoil yourself with a Balinese Massage from Sahara Spa, in the historic CN train station. 42. Moosgaw Arts & Gifts is a First Nations inspired gift store that you just can’t miss! 43. Dress up in old time clothing and get your photo take at Past Times Photography. 44. Tantalize your taste buds with olive oil and balsamic pairings at OLiV. 45. Sip on a cup of tea, or just browse the shop at the Simplicitea Organic Loose Leaf Tea shop. 46. Get a custom made souvenir of your time in Moose Jaw at The Shop or Souvenirs - The Shop. 47. Forget your worries when you take the waters or a treatment at Temple Gardens Hotel & Spa. 48. You will truly score the perfect find, when you visit The Perfect Find in charming Downtown Moose Jaw. 49. See what adaptive historical design looks like, while enjoying a cocktail at Browns Social House. 50. Experience a taste of heaven with the custom baking and fresh coffee at Common Cafe + Bakery. 51. Get a latte with your picture printed on the foam. We’re not kidding! Visit Espresso Joe’s! 52. Nothing beats the smell of new and old books! Check out both at Post Horizon Booksellers. 53. You’ll have an uplifting experience at Bra Necessities, on High Street. 54. The Claybank Historical Site is a marvellous example of early 20th century industrialism. This national historic site remains virtually unchanged since 1912. 55. A Gin Fizz can really, really brighten your day! Give one a try in the elegant lounge at the Grant Hall Hotel. 56. A taste of Japan is waiting for you at Mitsu Sweet Cafe. 57. Take a tour of the beautiful old churches, many dating back to the early 1900s. 58. A fascinating look at Craik’s Eco Village and Solar Garden is just a short drive away. 59. Authentic coconut lime leaves will wow you at Nit’s Thai Food. 60. Drop in to the Cosmo’s Seniors Centre to see what kind of antics the whist players are into! 61. Take a swim in the Kinsmen Sportsplex pool & waterslide to your heart’s content! 62. Tour the avenues and stop by some of the most glorious residential architecture the Prairies have to offer! 63. Sign up for a class with Dream Drop Designs, and create your own one-of-a-kind succulent bowl. 64. Stop by Chrysalis Coffee Roasters to pick up a decadent treat, and walk to Crescent Park to enjoy a picnic in the fall colours. 65. Take a 15 minute drive to Nicolle Flats at Buffalo Pound Provincial Park. Beautiful scenery and abundant wildlife await! 66. Book a tour at Fifth Avenue Collection Jewellery. This worldwide company was built right here in Moose Jaw! 67. Drop into RuBarb Productions to see what wonders of the theatre they are working on! 68. 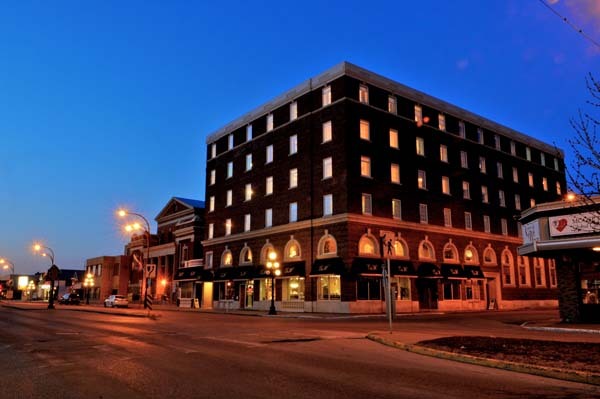 Plan your very own walking tour of the many heritage buildings in downtown Moose Jaw. 69. Find a copy of one of Bruce Fairman’s historical (and sometimes scary!) books, claim a park bench at one of our beautiful parks and enjoy a perfect afternoon! 70. If you aren’t able to see the Snowbirds flying today, stop by Tourism Moose Jaw to get an up close look at an authentic decommissioned Tutor Jet! 71. You’re going to get some arguments about the best French fries in this city, but we’d put our money on the fresh cut fries at Veroba’s Family Restaurant! 72. Moose Jaw is on Treaty 4 land, so you will find a lot of history here surrounding our First Nations people! 73. If you love mountain biking, you’ll find almost a hundred kilometres of trails in and around Moose Jaw! 74. Fall in Moose Jaw means Christmas! Christmas in October lights up downtown Moose Jaw starting October 26. 75. When you go walking in Crescent Park, make sure you find the awe inspiring tree carvings!